inscription: Bottom right corner has "SS" printed in white. 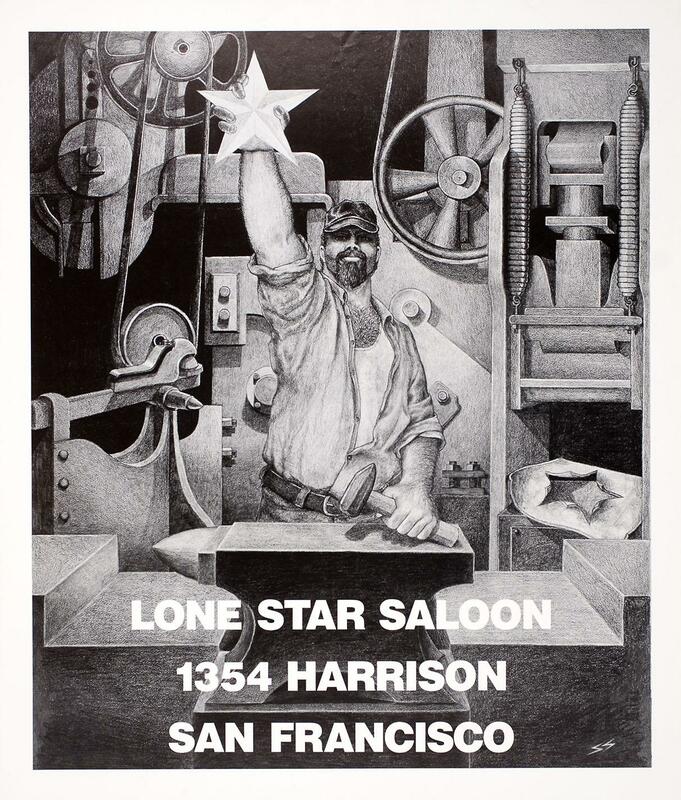 Poster has a black and white drawing of a man standing in a metal shop. He is behind an anvil and is holding a hammer in one hand and raising a star in the other. The man is wearing a partially buttoned shirt, a hat and a goatee. The bottom of the poster has "Lone Star Saloon 1354 Harrison San Francisco" printed in white.